The countdown is officially on for our holiday in Lac De Chalain, France with Eurocamp - to say we're excited is an understatement! Every day Henry, our two-year-old, is asking how many more days and though he doesn't quite understand the concept of time yet every day he appears more and more excited! And Darcie, our six-year-old is busying swatting up on the French Language, its a family holiday which couldn't have come at a better time! Whilst the holiday itself is hugely exciting one thing that is playing on my mind is the journey down there, driving on the content is something neither my husband or I have actually done so it feels a little daunting. So I have spent a little bit of time researching and thought I would be together a post to help others who are perhaps in the same predicament. Getting to by car is easy enough, we are fortunate to have the option of Ferries our the Euro Tunnel, for us we've opted for the Ferry just to break up the journey a little. We have an early ferry, 7:15am so will be an ideal pitstop for breakfast. However, the laws of the road are considerably different - not only the fact they drive on the other side of the road! If you're not prepared of wise on their laws you may find yourself having to find the closest cash machine to pay for a pricey speeding fine. That's something I definitely don't want or financial need when I'm on holiday! Preparing your car and making sure it is well maintained and in good condition before you set off on your hols should be seen as a priority. Regularly servicing your car can make the difference between it running smoothly, fuel efficiency and the risk of it breaking down - incurring an expensive and unexpected repair. It can be a false economy to avoid regular car servicing when your service is due is dependent on the manufacturer, car's mileage and age - if your service is due around the time or a few months after your long journey it may be worth bringing your service forward. The garage will perform overall health checks on your vehicle and if there is other work that needs attention or other parts that need changing they will communicate this with you in advance to make sure you are aware of what additional work is required and whether any further costs may be incurred. Just think, it will be a lot less stressful to get good quality tyres locally, than having to do this abroad. Also, make sure your MOT is not due to expire whilst you're away, if it is due to expire and you return without an MOT not only are you putting yourself or other road users in danger, you are also prone to being stopped by the police due to light failures, or other offences if your vehicle not running properly. This could result in you receiving a hefty fine and penalty points on your license. Plus you're required to carry an MOT certificate if your vehicle is more than three years old. 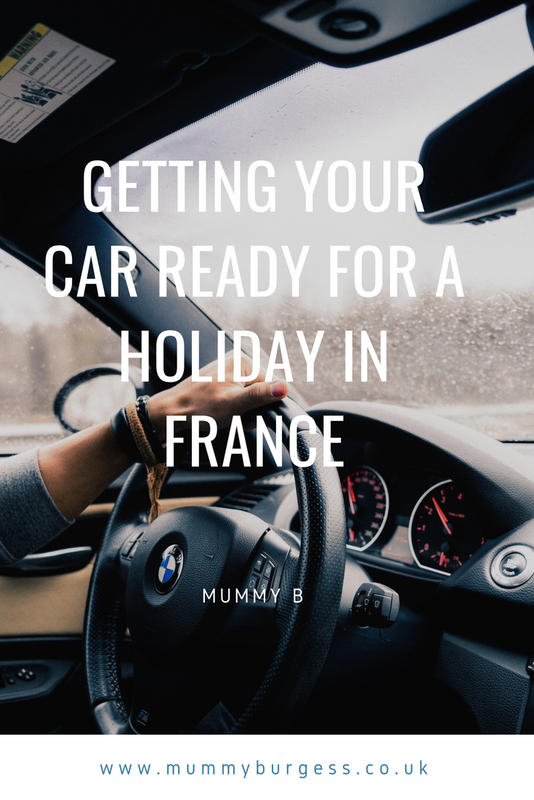 French law also requires that you prepare your car for French roads. You must fit headlamp beam deflectors to avoid dazzling other road users and if your car does not have a number plate that includes the GB euro-symbol you must also place a GB sign attached to your car. Also, you are required to carry warning triangles and a certified breathalyser kit within your car and reflective jackets for ALL passengers. You should also make sure you have your UK full and valid drivers licence and also proof of insurance and ownership of the vehicle (V5C). One obvious difference as mentioned previously is driving on the right side of the road. When you arrive off the ferry there will be lots of signs to reinforce this to avoid any confusion. On unmarked intersections, priority is given to those coming from the right, unless otherwise stated, so it's always worth remembering to have a second look to the right. Something the French authorities are extremely hot on is speeding, just don't do it. It's really not worth your time and you may end up having to find the nearest cash machine to pay a hefty fine. On French motorways, the speed limit is 130km/h which is 80mph and 110km/h in the wet (70mph). Drink driving, something which really shouldn't happen in my opinion but it's worth knowing the limit. It's stricter than the UK. The allowed blood alcohol level in France is 0.05 per cent and 0.02 for drivers with less than three years experience. You should ideally have two breathalyser kits if you get pulled over and have to use one you will then be left without one, which is breaking the law. 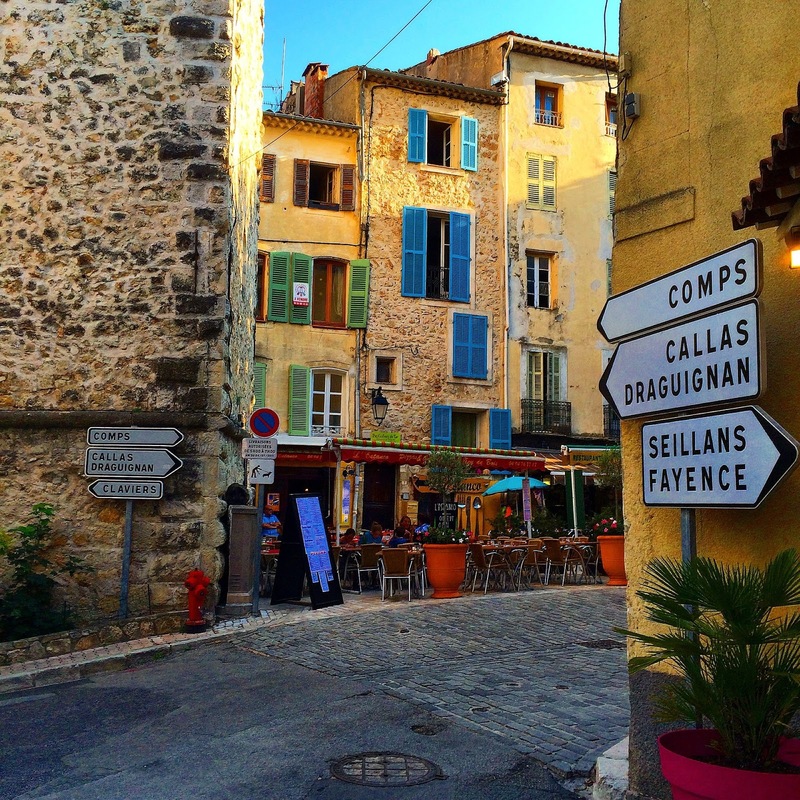 What would be your top tips for driving in France?